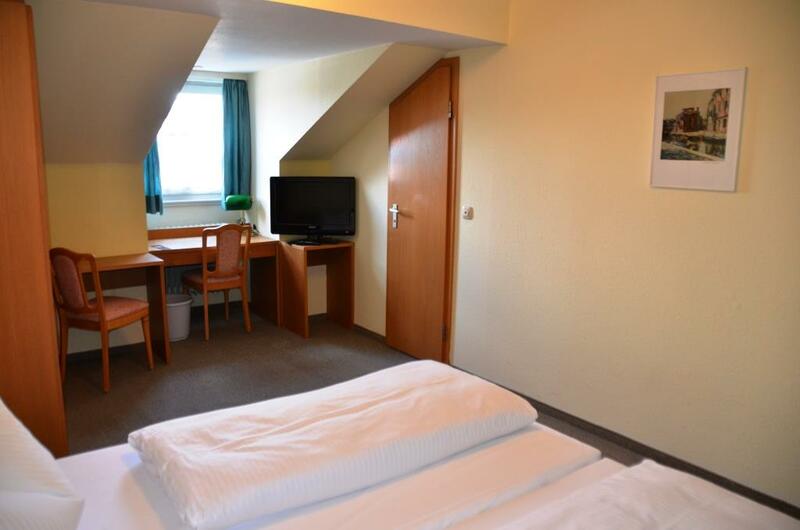 All of the rooms are simply furnished and equipped with a comfortable bed, flat screen satellite TV, desk and wardrobe. Of course, each of the rooms have a private bathroom with shower or bathtub. Some of our rooms has a large window front, some have their own small winter garden. The room rate includes accommodation, parking, use of the common kitchen and linen changes, NOT a breakfast and the cleaning of the room. We are happy to take over the cleaning of the room – for a fee. A washing machine is available (in a common room, for a fee) during your stay.